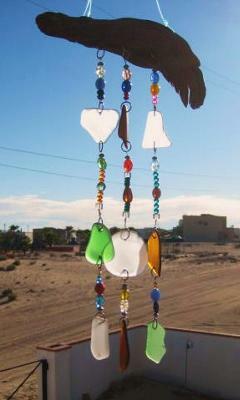 Sea Glass Reports from Mexico? Yes! Are you traveling to Mexico? Do you live in Mexico? Depending on your travel plans or where you might live in Mexico, you sooner or later likely will be going to one of the thousands of beautiful beaches in this amazing country. The east coast of Mexico (the Caribbean side) has excellent beaches for diving and is well-known for resorts like those at Cancun. The west coast of Mexico's mainland also has great beaches such as those in Mazatlan, Puerto Vallarta, Acapulco as well as hundreds of lesser-known but even better beaches. Then there is Baja California, a world to itself. Most of Baja is sparsely inhabited, but the hot spots of the north down to Ensenada as well as the Cabo San Lucas area at the southern tip offer good sea glassing opportunities to the adventurous. 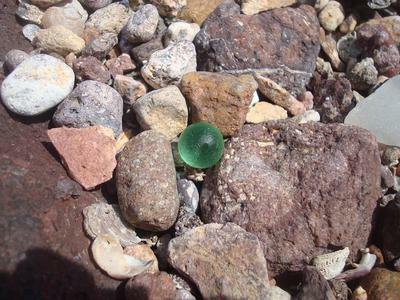 Generally, any beaches on those coasts that have a history of being populated will generally produce pretty decent sea glass - unless they are in a deep bay or otherwise protected. 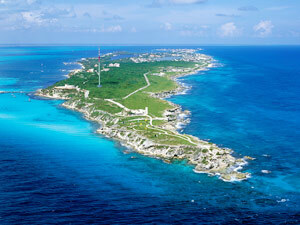 Be sure though to look at the list of beaches on our Mexico Sea Glass page. 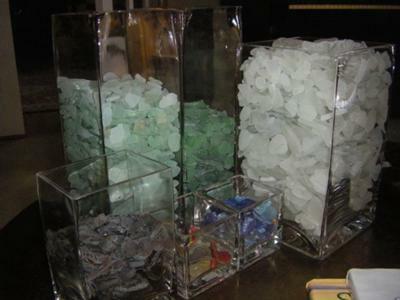 For more information on finding an good unexplored sea glass beach, go to our page Find Sea Glass . 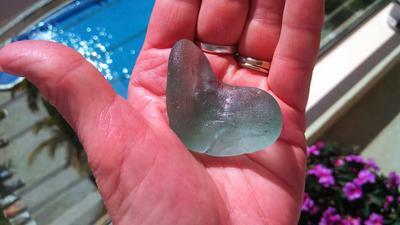 You'll learn there how to identify beaches that are likely to be productive of sea glass. 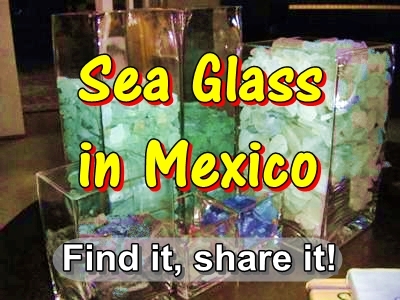 Also take a look at some of our existing pages on Sea Glass in Mexico featured below. Please Help! Lin and I need some more first-hand reports on beaches in Mexico. So be sure to take your camera EVERY TIME you go to the beach and send in a report... good or bad. All reports help others to make an informed decision as to what beach to search. We and everyone else will love your report! Some larger white pieces, a couple Of smaller green, one small aqua coloured. 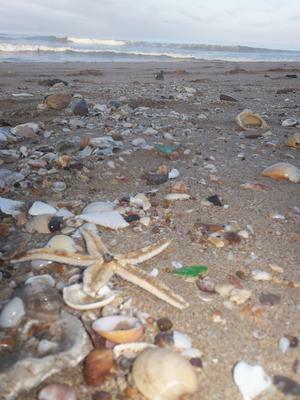 I recently returned from a month long trip to Puerto Vallarta and found a lot of sea glass on these beaches. I found mostly white sea glass but some also varying shades of green, brown and some rare cobalt blue. You'll likely see a lot of light to medium blue pieces which typically are discarded swimming pool tiles that have broken and eroded. Depending on the tides and the strength of the incoming waves, your results will vary. I like to stay close to the water's edge and scan for freshly washed up glass and then alternate to farther up on shore where the waves have carried shell bits, pebbles and stones. 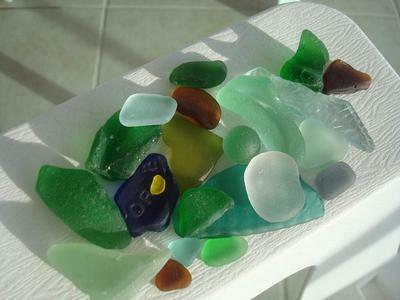 Any waves strong enough to move stones can deposit many bits of sea glass higher on the beach. Be quick in scanning because steady waves will wash great pieces away before you can pick them up. A few pieces.....white and brown.....small/tiny. 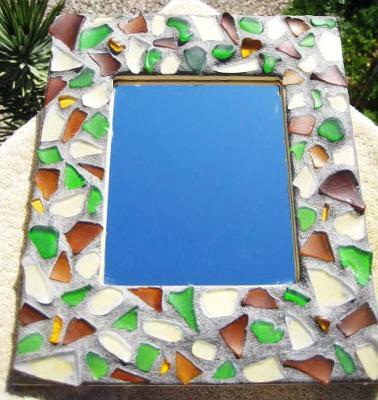 "...a small pueblo north of Cabo San Lucas on the Pacific Ocean...beautiful deserted beaches..."
Rated: Fair "...many green, brown, lots of white..."